This has just been posted over on Screescribe, hopefully it's true. Good news, just need to make sure they don't let it slip. Make people aware this is the final date and it wont be extended because you're crying as you don't have a STB. Earlier than expected - maybe the revenue from spectrum auctions beckoned. I wonder if they'll be handing out vouchers for STBs like the US. Perhaps this will put pressure on Sky to change Prime to a HD channel on Freeview. Has there been any announcements so far on when the Freeview|HD coverage is going to increase? Mobile Phone: iPhone 5 32gb Graphite. JonC: Earlier than expected - maybe the revenue from spectrum auctions beckoned. 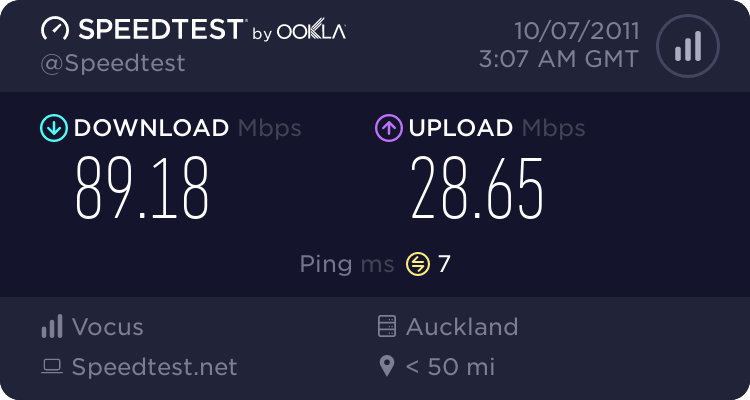 Why not use the new UFB network to deliver TV, even if its just streaming normal broadcast channels? Zeon: Why not use the new UFB network to deliver TV, even if its just streaming normal broadcast channels? Not enough coverage, not soon enough. This was the whole reason Freeview was created - switch to digital, sell the spectrum. I don't think people who have already purchased them will care that much, becuase as early adopters you do expect to pay more, and there is nothing stopping people getting more STBs with a voucher. You would need a STB for each TV. I am sure this will also boast Skys share price, as some people may just go to sky to avoid the hassle. It would depend on where you are located, but UHF freeview is cheaper to setup, as most people have already have UHF aerials that will work, so if STBs were just $50, that should be affordable to most. Yes that is what it is going to end up being used for, but not ready yet, and probably won't have 100% coverage either. Invercargill, Timaru, Nelson, Wairarapa, Gisborne, Wanganui, Taranaki, Taupo, Rotorua and Whangarei.